Honey, we need to do a Christmas card. Do you have a shortie robe, snow boots, and a hat with ear flaps? – Own Less. Do More. Honey, we need to do a Christmas card. Do you have a shortie robe, snow boots, and a hat with ear flaps? Pretty sure I got this. That cracked me right up – and scared the cat. 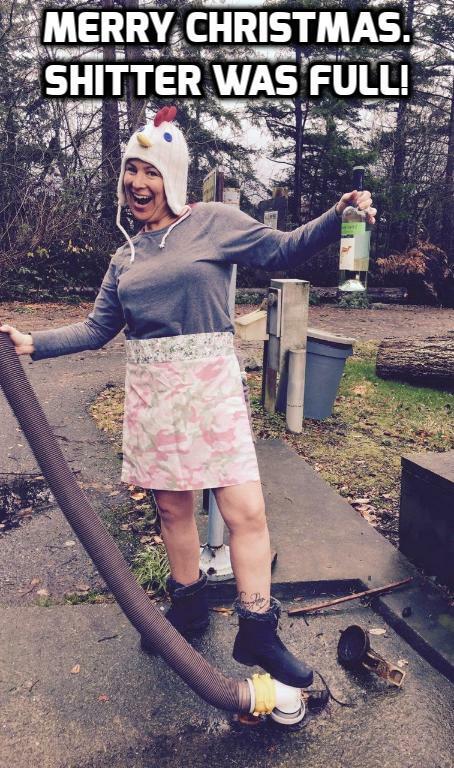 The chicken hat (I sense a nod to Beyonce), floral apron, and wine were nice touches. I wish I got Christmas cards like this!